Shocking fact : At least 25,000 elephants possibly as many as 50,000 are slaughtered each year for their ivory. On average an elephant is killed every 15 minutes for his or her ivory. You can help save elephants from extinction by taking the following actions: signing petitions, sending a message to the Obama administration and supporting The International Fund for Animal Welfare’s (IFAW) UK ivory surrender campaign. Of course there are many other actions and campaigns concerning the increase of elephant poaching as there is great concern globally about this threat to the survival of this intelligent creature. Despite laws prohibiting the sale of ivory thousands of pieces of ivory are being sold quite openly in a market in Mong La, Myanmar (Burma) one of the biggest unregulated ivory markets in Asia. “In China, it’s illegal to kill elephants for their ivory and sell their tusks. But somehow, 30 tusks and thousands of pieces of ivory were recently discovered for sale at a market in Mong La. Investigations into wildlife monitoring and trafficking noted that this market could be one of the biggest unregulated ivory markets in Asia. How could this be if laws exist? Ivory is openly displayed at this market in the Eastern Shan State of China to cater to the many tourists that visit. There is obviously no form of government control to stop the sale of ivory throughout China and other Asian countries. Demand that Myanmar and China crackdown on the sale of Ivory and save the Elephants!! 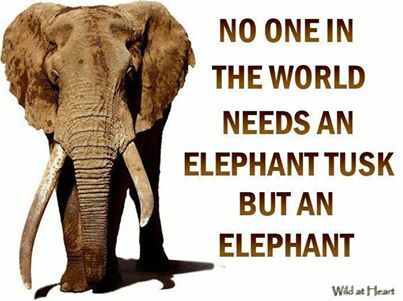 Please sign and share the above petition worldwide and help to stop the massacre of elephants for their ivory. China and Myanmar need to crackdown on the illegal sale of ivory in order to protect elephants. Burmese town exposed as one of Asia’s biggest markets after thousands of trinkets are seized. More than 3,000 pieces of carved ivory were found on the border between Burma and China last week by undercover researchers from Oxford Brookes University and Traffic, the wildlife trade monitoring network. As China becomes more affluent and the wealth of many Chinese people increases so does the demand for ivory. This petition, will be presented to the Chinese embassies in London and Manchester, however anyone anywhere in the world may sign. It has been estimated elephants will become extinct in twelve years time unless the poaching of these animals for their tusks is stopped and the sale of ivory banned and laws to this effect enforced world-wide. As always it is all about greed at the expense of the other creatures with whom we share this world. It is shameful to kill a sentient being for his tucks for trinkets for the affluent and fickle minded who care nothing for the other creatures who inhabit this earth along side us. Ivory is an anachronism of a bygone age, a barbarism that should now be consigned to history. previous entry continues despite laws banning this cruel pastime. I have to wonder if such laws are for effect only. Help the IFAW’s UK ivory surrender campaign. Concerning ivory I think it is time that the sale of all ivory is banned as desire for these unethical trinkets continues and is encouraged further by the sale of antique ivory. Rather like faux fur encourages and promotes the market for real fur by sending a message that fur is fashionable, the sale of antique ivory stimulates the market for new ivory. Furthermore I am sure that it is not possible to tell the difference. As a matter of interest regarding fake fur from China it is often not possible to ascertain if there is either a mixture of real and fake fur as the Chinese have been known to mix them or the garment is labelled incorrectly. Is that faux fur really fake? Please read and send a message to tell the Obama Administration: Lead the global charge to ensure a future for elephants. Ban the sale of ivory in the United States. Please sign and share these petitions and other actions to help stop this appalling slaughter of elephants for their ivory. And don’t forget to donate your ivory if you have any. Please read the information below if you have not already done so. 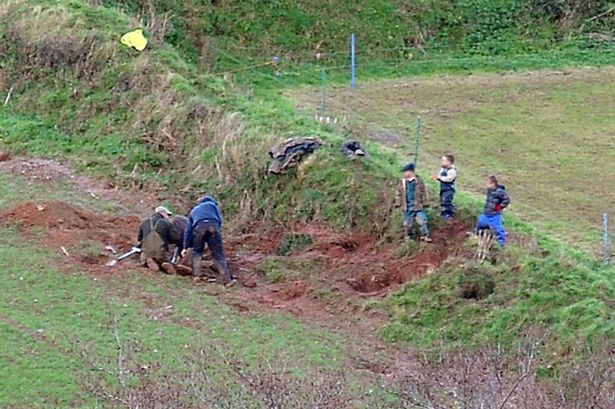 A helpless terrified fox was dragged from a badgers’ set, where she had hidden to escape six men and their dog, and was viciously slaughtered in front of three children. As you can see from the photograph below three children look on as the poor animal meets a cruel end at the hands of terrier men and their dog. A shot was fired and another unfortunate fox was dragged from the hole and laid before the children. The RSPCA is now investigating to see if it breaches the laws which govern huntsmen. The 2004 Hunting Act, which banned hunting foxes with a pack of hounds, doesn’t cover the use of dogs to flush out animals underground. An unsavoury character indeed though that is putting it mildly, such persons to my mind are sadistic, cruel and probably sociopaths – really what kind of mentality enjoys killing another living creature for pleasure, hardly normal or rational is it. In this instance the vile deed is compounded further as these reprehensible excuses for human beings allow three young children to watch. Child abuse? In my opinion most defintely. Animal abuse ? Most certainly. Fox hunting or more precisely hunting with hounds was banned on the 18th February 2005, a day celebrated by most decent people and those who genuinely care about animals. It was a day that many thought would never come when finally decency and morality would prevail and such barbarism would finally be consigned to history where it rightfully belongs, and where future generations would cringe in horror that an advanced civilisation in the twenty-first century should allow those who sadly seek pleasure via the pain of other sentient creatures to have the choice to indulge in their sickening perversion. Sadly despite the ban fox hunting continues and many Tories would like nothing better than to see the ban rescinded. Many Tories want fox hunting reinstated regardless of the overwhelming public support for the ban to continue. So ripping foxes apart has a place in a civilised society does it Mr Cameron? The cruel and barbaric pastime of Fox hunting or indeed any hunting has no place in any civilised ethical society. The fact that Cameron seems to think it has says a lot about this man who has brought about such suffering and misery to the lives of many people here in the UK, particularly concerning the vicious welfare reforms and the introduction of Workfare and sanctions plunging people into poverty, driving many to suicide and despair, destroying lives and hope. What does Cameron’s passion for hunting say about the character of this unpopular prime minister whose callous indifference to the suffering he has caused during his term in office is beyond comprehension for those of us who endeavour to be compassionate. “I have spent all week in a state of complete fury. Like a man possessed with an advanced case of Tourette syndrome, I have been shouting at traffic and assailing my fellow men (and women). It is difficult to explain why this one issue makes me so furious. And sign up for e-mails to learn about the League of Cruel Sport’s campaigns about how you can help protect animals from cruel sports. “Most people accept there is no place for animal cruelty in a civilised society. “Cruelty to animals is contrary to man’s duty to himself, because it deadens in him the feeling of sympathy for their sufferings, and thus a natural tendency that is very useful to morality in relation to other human beings is weakened. 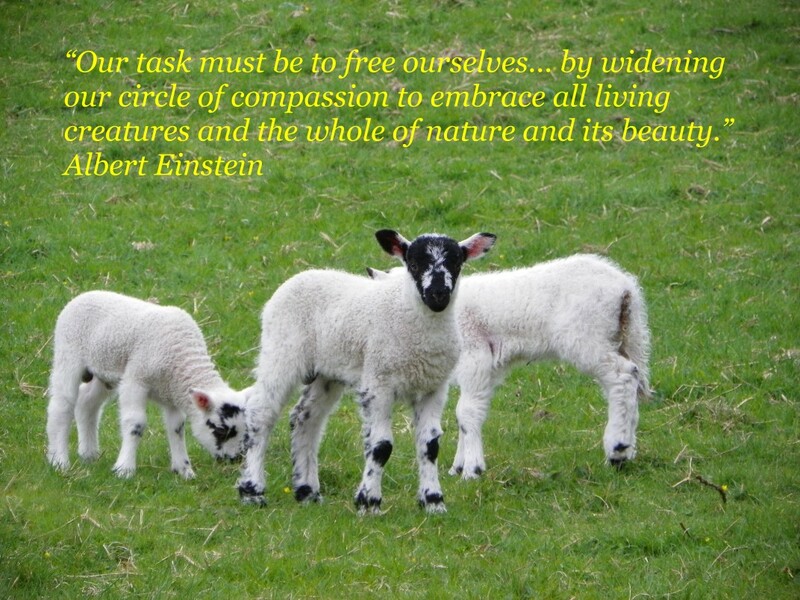 “Until he extends the circle of his compassion to all living things, man will not himself find peace. We need a boundless ethics which will include animals also. Whenever I see a photograph of some sportsman grinning over his kill, I am always impressed by the striking moral and esthetic superiority of the dead animal to the live one. Many of us consider slavery as an evil of a bygone age, abolished a couple of centuries or more ago. There are however more people living in slavery today than the total number of people taken from Africa to America in the slave trade between the 17th and 19th centuries. One of the places where modern slavery flourishes is the Democratic Republic of the Congo where in the bloodiest conflict since world war 2 over 5 million people have died as a result of conflicts between the government and rebel forces. In fact 85 percent of tantalum comes from the Democratic Republic of the Congo. Many big electronics companies have already taken steps to get rid of conflict minerals in their supply chain: Intel recently announced that all of their new microprocessors will be free of conflict minerals with Chief Executive Brian Krzanich urging the “entire industry” to follow suit. But Nintendo continues to lag behind and has yet to join the electronics industry audit program for conflict-free smelters nor has it required its suppliers to use only conflict-free smelters – the bare minimum requirement for taking action on conflict minerals. Please take time to watch the video below and take action either by clicking the link in the video or the link which follows below calling on Nintendo to take the first step toward ensuring their products are free of conflict minerals mined with slavery by auditing their supply chain according to industry standards and making this information public. If you do not need to watch the film for any reason you can access the petition by clicking this link http://www.walkfree.org/ and scrolling down to Take Action Nintendo: Slavery is not a Game and click Act Now. The petition is simple requiring only a few details. I admit that I knew virtually nothing about this country or the terrible consequence of these conflicts, the fight for control of the Tantalum mines and the tragic loss of life in yet another struggle between greedy war mongering governments and rebel forces and those who wish to accrue wealth at the expense of other people to extract this lucrative mineral. Though I knew so little about the shocking incidence of slavery in Democratic Republic of the Congo from time to time I have come across mention on the internet by way of petitions, but as far as I am aware nothing much elsewhere, absolutely no mention in the media here in the UK. How can such appalling treatment of other human beings take place day in and day out and there is no action to prevent this and barely any mention in the mainstream media. Slavery is a serious problem world-wide yet few are aware of its existence. Lets not overlook the more subtle forms of slavery such as here in the UK the government’s Work Fare schemes based on the threat of losing benefit for non compliance with being forced to work thirty hours each week for no pay. Or the even less obvious wage slavery, the enslavement of millions of people by big corporations for a subsistence wage which to my mind amounts to slavery. But these are subjects for another post. Though it should be said that one should not make comparisons regarding degree of injustice. Obviously being forced to work in the mines in the Congo at gun point is worse then being forced to work for nothing stacking shelves here in the UK. However all are social injustices as we all value our freedom and the degree of severity of slavery is little compensation to those who have to spend their lives enslaved to others. Animals too wish to lives their own lives as nature intended and while many will not agree with me to enslave any creatures is unjust and unethical. The documentary Benefits Street features residents of a deprived Street in Birmingham. The programme sets out to demonise poor people who live in James Turner Street and has resulted in threats of violence to residents and has increased prejudice towards those who through no fault of their own need to claim benefits. Many people including myself consider this documentary to be an unbalenced prejudicial and negative portrayal of benefits claimants. 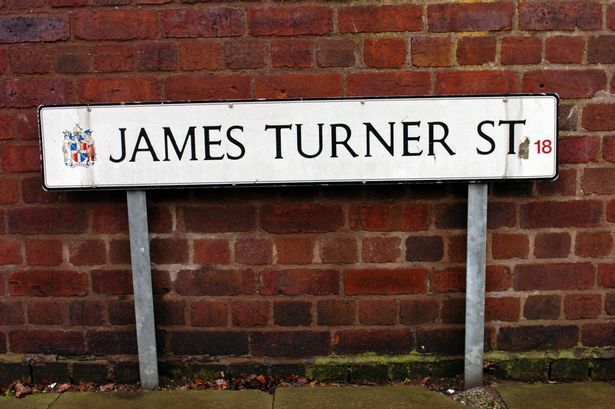 Residents of James Turner Street where not told that the programme’s title would be Benefits Street. If you are not familiar with this controversy please see related links at the end of this post. Below is an open letter to Channel Four regarding their documentary Benefits Street. I write concerning your documentary “Benefits Street.” I am appalled that for the sake of sensationalism, high ratings and of course money you have exploited vulnerable people and have aided the government’s campaign to label all benefit claimants as scroungers, rogues and fraudsters. In real terms for profit and all the reasons above you have aided and abetted the Coalition’s Nazi style propaganda which has singled out benefit claimants including disabled people as a drain on the economy. While most of your participants so far may not fall into the category of disabled with the exception of Fungi perhaps who has a drug problem, the intention is the same and that is to turn the public against those who are unfortunate enough not to be able to get a job. The programme has excited hatred and prejudice which is clearly demonstrated by vicious hateful Twitter comments. I quite believe that this was the intention of this program. You know full well that the people featured in this street are the kind of people that most of the misinformed public associate with the concept of “benefit scroungers”, therefore reducing any sympathy that the public may have. The people in this street are not representative of people everywhere on benefits. They have their problems, no doubt as a result of years of neglect by society as they struggle on a pittance on the edge of destitution made even more so since the vicious welfare cuts by this government. You have exploited their misery and hopelessness and added further detriment to their difficult lives. The quick shot of a few satellite dishes was no doubt deliberately intended to promote the idea that people on benefits can afford this luxury. These dishes could have been anywhere in the street as there are people who live there also who do have jobs. Were the people featured in this program paid for their appearances? They claim to have been led into thinking that the programme featured their community spirit, which I might add is a good and caring one. A refreshing change in a divided country where everyone adopts an every-man for himself attitude where few give a damn about their neighbour or the struggle many people have to cope with the increasing poverty inflicted upon them by this government of the rich for the rich. I am appalled that you can so easily collaborate with the vile evil of the governments’ malicious propaganda maligning benefit claimants and the calculated destruction of our welfare system. You are lucky you have good jobs you enjoy and gain satisfaction from even though to my mind the context of this particular documentary is perverse and unjust, you are no doubt quite self-satisfied. One day you too may not have a job or you may be too ill or disabled to work, what will you say then when there is no welfare state to support you? I cannot understand people like yourselves who would rather sow the seeds of hatred rather than good, who would divide people against those who are struggling with poverty rather than unite people to seek justice and bring an end to the vicious welfare reforms that have set the clock back decades to a time and a way of life that decent caring people never thought we would see again in the UK. Such distorted programmes propagate discrimination and injustice and incite hatred and violence. Personally to give my life meaning I would prefer to gain notoriety from the good I did for the improvement of society towards a just and fair world for everyone. The people of James Turner street need help, not exploitation. People do not choose to live on benefits, it is not a life-style choice, who would want to spend their lives struggling on £71 per week. A pittance which can now so easily be taken away under the guise of sanctions set in place to deprive people of this miniscule income for such petty things as arriving a minute late for an appointment at the job centre. Shame on you exploiting a shocking situation of social injustice. Injustice that I never thought would happen here in the UK and about which so few would protest. Instead of focusing on a couple of petty thieves why not focus on the real criminals in our society, the greedy bankers and corporations and the corrupt governments that support them? No; because they support you? The greed of the few is destroying the lives of millions of people world-wide increasing hunger, poverty and deprivation on a scale unimaginable. The world has to change for the sake of every man, woman and child, for every creature and indeed the Earth itself. If not, the legacy of future generations will be enslavement to multinational corporations, the devastation of our planet and the extinction of the other creatures with whom we share this world. By dividing people against those less fortunate we are taking a step backwards, and will be remembered in history along with all the other evil perpetrators of social injustice. Stop broadcasting Benefits Street and make a donation to a relevant charity for the harm caused. How edgy Channel 4 must think it is, courageously reinforcing widespread prejudices, heroically hammering away at a message that is heard relentlessly already, bravely echoing the Government mantra about skivers. I hesitate to write about Benefits Street, their miserable programme which aired this week, knowing as I do that I’m partly satisfying its producers’ lust for attention. This article includes examples of the abusive reaction on Twitter including threats of violence. The controversial Channel 4 series Benefits Street has been attacked by a senior MP, who described it as a “misrepresentation” of life for people on social security. He should write to his MP immediately. I had a help when I wrote to my MP about my son and the situation was not nearly as dire. So it’s worth writing. Who is his MP? If we can have details I am sure many people would be willing to write also. All my best wishes to this lady and to her son for a quick recovery and some help sorting out this awful situation. I am not sure where I stand concerning the emphasis on New year, it is after all just another segment of time like any other. It’s only advantage is that it is often a time when people reflect on their lives and make resolutions though mostly personal, such as loosing weight or giving up smoking. But it can also be a time when collectively we reflect on our ethical and social progress and what has or has not happened in this regard – at least some of us do. Progress has been made but there is so much to do and man’s inhumanity to man and the other animals with whom he shares this world continues to make thousands or more accurately millions mourn. I hope this year we see more progress towards a fairer and more equal world for both human and non human animals. Sadly ethical social progress regarding both humans and animals – for example the slaughter of badgers – has taken a step back here in the UK and in other rich so called developing countries. Here in the UK the present unelected government enter another year of its unrelenting destruction of our welfare system, our NHS and its increasing agenda of inducing poverty and deprivation while allowing the rich to accrue more and more wealth. In the USA it is much the same as millions of unemployed people are set to loose their unemployment benefit. How are these unfortunate people supposed to live? How are they to feed clothe and provide shelter for themselves or their families. How are those here in the UK expected to do likewise as more and more people face up to three years of benefit sanctions for petty trivial and unreasonable violations of the rules, such as being a minute late for a job centre appointment. As incredulous as it may seem people have been sanctioned for attending a job interview instead of their Job centre apointment with their adviser. Ludicrous! Deliberate? The unremitting exploitation of the other creatures with whom we share this world continues and while progress is made in one area other atrocities continue from the live plucking of rabbits in China to the slaughter of dolphins in Peru. And don’t lets forget the suffering of billions of sentient beings in factory farms the world over to provide man with a food that is not natural at the expensive of not only these poor animals but other humans and the environment. There appears to be no creature that man does not exploit, it is as though he thinks the world his is own to do with as he pleases, at least those who have all the power in the world, the rich elect, the one percent. All creatures suffer the onslaught of the assault on our environment, on the very earth that sustains us. Driven by greed the human animal destroys not only the world for those of his own species and the myriad other creatures that inhabit this beautiful planet but for future generations. From the unthinkable mountain top removal to the assault on the pristine environment of the Arctic for oil the insane destruction of his own habitat continues unabated. There is such a huge list of atrocities, outrageous and injustices committed to humans, nonhumans and the earth itself, were they listed and categorized the toll of misery and suffering would be overwhelming in the extreme. I would like to share a few quotations concerning ethical progress, social justice, human and animals rights, ideas about how the world should be from notable thinkers both past and present. A nation that continues year after year to spend more money on military defence than on programs of social uplift is approaching spiritual doom. The declaration of Human rights Article 25. I include this article here as it seems to be overlooked by most countries the world over including the UK where vicious welfare reforms have made people destitute, homeless and hungry and has result in the deaths of 10,000 people who were wrongly declared fit for work, in addition thousands have committed suicide. Ethical social progress includes the other beings with whom we share this world – non human animals. I have seen firsthand how injustice gets overlooked when the victims are powerless or vulnerable, when they have no one to speak up for them and no means of representing themselves to a higher authority. Animals are in precisely that position. Unless we are mindful of their interests and speak out loudly on their behalf, abuse and cruelty go unchallenged. There may be times when we are powerless to prevent social injustice , But there must never be a time when we fail to protest. Please support campaigns to bring about a more just world for both man and other animals and a safe environment. Write letters, sign petitions, peacefully demonstrate and protest, do not accept what is happening to our fellow beings and the earth itself. Here are a few suggestions to start the year. I just saw a report on the news in Peru showing how fishermen are slaughtering up to 15,000 dolphins every year — for bait to catch endangered sharks. The entire story made me sick — and now I’m fighting to end this nightmare. Will you join me? Every year, 6.6 million children die before their fifth birthday around the world. And here in Britain, 1.6 million children live in severe poverty. Together we can end these scandals. But we need YOUR help to make it happen. I hope the new year is a happy and more peaceful time for us all, and that there will be positive progression towards a more ethical world where all beings may live in peace in a safe environment. Though such thoughts seem hollow as we know that happiness is an elusive state of being for most and that progression towards an ideal world for all creatures is a slow and painful process, I would nonetheless like to send some good thoughts your way. 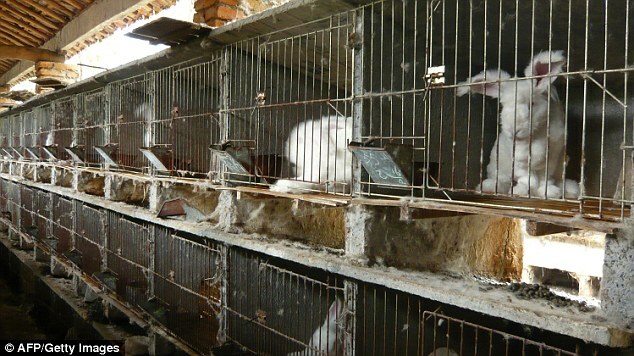 More Action to help Angora Rabbits Plucked Alive – Includes Updated Retailer List. https://rantingsfromavirtualsoapbox.wordpress.com/2013/11/27/please-help-rabbits-tortured-for-angora/ – Scroll to the end of this post for a simplified and updated list of retailers for you to write to. There follows more action you can take to help rabbits. Please help PETA with their continuing campaign to stop this shockingly cruel treatment of rabbits. Most of the information below is from PETA’s USA website however the suggested actions may be either taken by anyone or adapted to your own country. Firstly an e-mail form to Tell Gap to Stop Squeezing Profits From Screaming Rabbits! Gap have stores worldwide so wherever you are please send an e-mail. Warning distressing graphic. If you are likely to be effected please scroll down quickly to send the e-mail. As you can see there has been an update so please edit the template letter to reflect this and make sure that Gap goes all the way by writing—and also encouraging everyone you know to write—to urge the company to BAN angora NOW! Check out the link below for action taken by Animal advocates who went to a Gap, Inc., store in both Hollywood, California, and Victoria, British Columbia, in order to “return” “bloody rabbits” meant to represent those whose angora fur had been ripped from their sensitive skin to make sweaters sold by the retailer. https://secure.peta.org/site/Advocacy?cmd=display&page=UserAction&id=5171 Scroll down to send an e-mail. Please use as a template and add your own thoughts. If this is not possible just send as it as it is. Or if you prefer using your own e-mail or write a postal letter the contact details of the Chinese Ambassador to the USA follows. Also details for other countries. According to this website the correct salutation for a letter or e-mail is Dear Ambassador and His or Her Excellency followed by full their full name on the envelope http://www.debretts.com/forms-of-address/professions/diplomatic-service/foreign-ambassador.aspx May apply only to UK foreign ambassadors. Confusing? Isn’t it always. I think it will be okay to write His Excellency Ambassador Mr. – add full name – at the left hand corner of your e-mail or letter along with the embassy address and address him as Dear Ambassador. Whether these formalities make any real difference or not I have no idea, to my mind such salutations and others matter of etiquette are an anachronism and elevate one person above another. But that perhaps is another matter for another time. The most important thing to remember when writing is please be courteous. If you live elsewhere in the world please send an e-mail or postal letter to the Chinese Embassy in your own Country. There follows a short list, if your country is not included please use a search engine for details of contact information. If you have not already written please do so to all or as many retailers as you can included on the list below. Please write also to those who have indicated a ban to ensure all commitments to bans and investigations are followed through. Customer Services. Phone Number 01274-729544.
telephone number in Paris to ring…. 0033 156 929800.
centre….then scroll down to the bottom of the page to Ask Your Question and you will find the email form. A really hard-to-find online form to contact them with. On line contact form on their website. Online contact form at their website. This retailer is number one with regards to difficult to find contact details. On-line form – There are two on-line forms . I would worry about the reliability of either concerning this issue and recommend that you write a letter if possible. This is the only address I could find other than one for recruitment. This is the head office for the Arcadia group which includes Evans and a number of other high street shops. (Head Office and Department Store). The Edinburgh Woollen Mill Ltd. Concerning Top Shop. This store is really unhelpful as regard to any obvious contact information on its website other than by telephone. I tracked down a customer service e-mail address included in the Terms and Conditions Page right at the bottom customer. service@TOPSHOP.COM. I recommend that for this store a letter would most certainly be the best option. Wallis however like Evans is part of the Arcadia Group. I think Simply Be and Fashion World belong to the same group – all very complicated as I am unfamiliar with either. Below is the best I could do with tracking down their contact details. if anyone has any further contact information regarding either please let me know. Really hard work finding contact details for this retailer. I think it is best if you can to send a letter by post as there is no real e-mail or online form- at least one that looks reliable. The above which is for Tesco Direct is probably the best way to make contact on-line. I would not recommend on-line contact with this store. There appears to be no on-line contact address for ASDA. Clicking on their contact link right at the bottom of the homepage http://www.asda.com/ takes you to this page https://asda.custhelp.com/app/helphome?cmpid=ahc-_-soc-bnf7-_-asdacom-dsk-_-hp-_-foot which as you will see is anything but a contact page, no e-mail, no on-line form. Anyone would think they do not wish to hear from their customers. So please if you are able to write only one postal letter please write it to ASDA. For more countries see a drop down list of Ralph Lauren shops world wide by clicking the link below than click Shop for a drop down menu and store locator. Select your country than scroll down the opening page for contact details Customer Assistance.